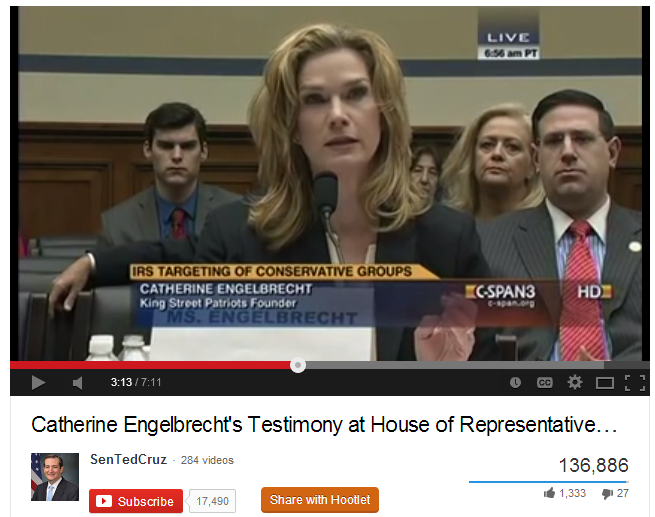 Application for non-profit status unleashes IRS targeting in a coordinated multi-agency attack on previously mild-mannered mind-your-own-businesswoman Catherine Engelbrecht. The prolonged attacks have woken her up to what you and I have known for a few years now. She, like us, has become, shall we say, a relentless government transparency advocate. Good. We need her and more like her. The few minutes it takes to watch this video is well worth the time. Most of us got dragged into the hornet’s nest just as innocently. How did you end up here?